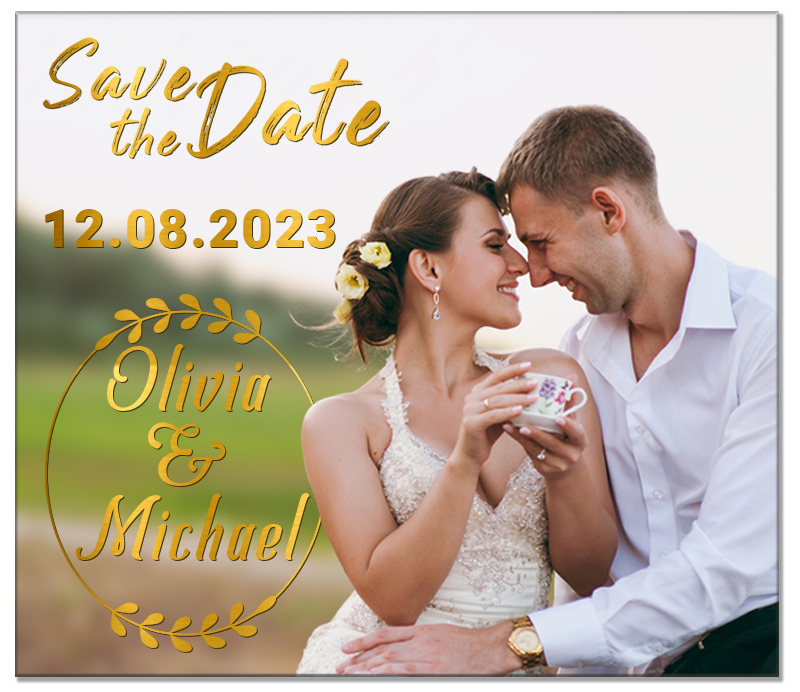 3.5x4 inch Save the Date Full Color Wedding Magnets – Most of the wedding cards are square or rectangular shaped and you can utilize the same shapes for sending pre- invites too. 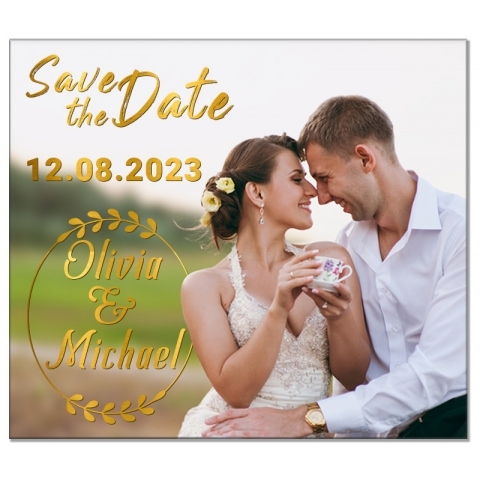 A 3.5x4 inch save the date wedding magnet can be easily customized with your favorite photograph and contact information. People will find it a lot easier to connect with the date which is mentioned against a photograph, because it offers high visibility against any surface where it is affixed. You need to send us the wedding information with high resolution photographs and step out to receive it at the doorstep within a week’s time. These magnets are printed after seeking your approval on the design and it will travel to your house freely at free of cost!